A: This is a common question and concern for property owners and the answer is yes, and no. While there is a cost associated with property management services, the amount saved can be tremendous and the benefits far outweigh the costs over the span of the rental period. While most property management companies in Atlanta, GA can help a property owner find a tenant and manage repairs to the property, not all property management companies are created equal. With Slyman Real Estate, you’ll appreciate all the details that we put into managing property and will see how we can actually save you time and money on your rental venture. Our property management services include all phases of the process of renting a home from locating tenants to taking care of maintenance issues and everything in between. 1. Accurate Property Evaluation – We are very knowledgeable regarding the current rental market. We can give you a realistic expectation of what the rental amount and terms should be in order to minimize the time the property remains unoccupied and maximize the owner’s rental income. 2. Successful Staging of Property – Because we are in and out of many rental properties as well as properties for sale every day, we know what today’s renters are looking for. We bring expertise in staging which leads to successful marketing of rental properties. 3. Excellent Marketing Services – We know our industry and how to market rental properties so that they do not sit unoccupied. We have a network that we work with to place renters. Through our real estate business, we are also in contact with potential renters on an ongoing basis. 4. A Well-Maintained Property – A property that doesn’t look maintained will cause a renter to either look further or attempt to negotiate a lower rental payment. 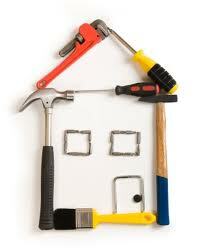 We can recommend minor repairs and updates that could make a big difference on the impression made by the property. 5. Procurement of Strong Tenants – We will handle the process of screening potential renters to ensure a successful rental experience for the owner. This includes: application review with full screening, credit check, copy of full credit report, bank account information, copy of driver’s license, social security number, and income and employment verification. 6. Lease Document Preparation & Execution – We provide lease document and hold the security deposit for the owner. 7. Guaranteed Payments to Owner – Payment to the owner is made immediately upon receipt of renter’s payment. We take care of all payments and collections. 9. No Commission Charged on Tenant Renewals – This translates into more income for the owner. 10. 24/7 Service for Renters and Owners – No matter when or what time service is called for, you won’t get an answering service. In short, our professionals take the stress off the property owner saving time, headaches, and money. With a properly managed property, the owner’s expense and energy is greatly reduced. In part 3 of this series, we’ll address how we can benefit the REALTOR® who may have a listing that simply cannot sell which the owner may desire to rent. As always, we appreciate any feedback or comments. What do you think about when you hear the term property manager? A homeowner may think, “I can’t afford to pay someone to manage my property.” On the other hand, a REALTOR® may fear that to introduce a property manager and lease arrangement, a viable listing will be lost. As a matter of fact, neither fear is warranted. The reality of the situation is that a knowledgeable and competent property manager will save you time, money, frustration, and needless anxiety. Enlisting the help of a property manager is similar to hiring a CPA to file your business taxes and financial statements. While inexpensive software is readily available for this purpose, none of them can guide you fully through all the complexities of the tax code and help you plan for future filing like a skilled CPA can. Helping you navigate the ins and the outs of the ever changing tax code, a good CPA can actually help you make better financial decisions and in the long run, save you money. The same is true with a good property manager. Leasing and managing property in Atlanta, Georgia is also a complex activity that requires more skill, knowledge, and time than most people realize. An experienced and reputable property manager will be able to help you navigate the legal agreements, locate and do a thorough review on candidates for lease, and serve as a buffer between leasee and lessor in the matters of rent collection and maintenance needs. The truth is, you can’t afford to not hire a property manager. With the property properly managed, the homeowners are free to use their energy to pursue their career and enjoy weekends with their families without being on call and can enjoy the financial security of the home being occupied while having the lease payments add to their equity. For the REALTOR® assisting a client with finding a good property manager can save a listing that is in threat of being lost due to time on the market or market conditions that are not favorable to the owner’s financial requirements. In short, the REALTOR® will retain and most often add to their client list as market conditions improve and renters become buyers, while owners become sellers. In part 2 of Property Management 101, we’ll discuss in greater detail the real benefits of hiring a property manager in Atlanta, GA. If there are questions that you would like to have answered, we invite you to post them here so that we can make sure we cover them in upcoming posts. At Slyman Real Estate, we provide the best property management service that can be found in the Atlanta area. We can work with REALTORS® and homeowners alike to ease the work involved in renting and managing properties. Feel free to give us a call at 770.405.0100 x222 or check out our website at www.paigeslyman.com.